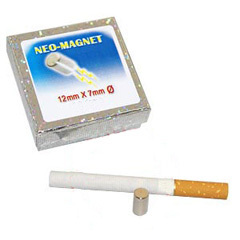 For years our Company is making efforts to offer our clients magnets always very powerful and of the latest generation. Now, beyond the extreme quality, we have added various sizes to find the right one for any performances. With this magnet you can modify, as you like, a rope to perform incredible effects of “ cut and restored rope”.